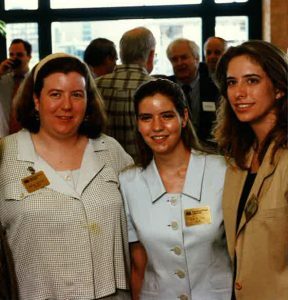 1) Congrats on reaching 20 years at the Museum! Did you think when you started here, that you’d be here that long? 2) How did you get your start here? The Museum had only been open seven years when I started here, so still relatively new. At that time, I’d been working as a temporary project curator at a small museum in Illinois, and I was looking for something more permanent in museum collections. The Sixth Floor Museum at the time was looking for their first museum registrar, and so I applied. 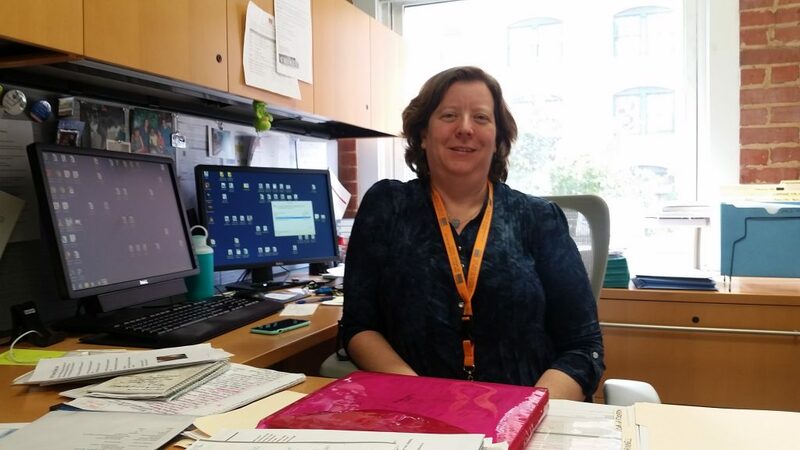 As registrar, I oversaw the Museum’s collections management systems and practices and developed policies and procedures for the care and documentation of the collections. In simple terms, I kept track of the collection—physically, intellectually and legally. 3) What’s the biggest change you’ve seen since you’ve been here? It’s a completely different place. The Museum has grown and evolved so much since I’ve been here. There were 20 people working here when I started—today, we have more than 50. We didn’t have the offices we’re in now. Most of us were in the basement of the Visitors Center. We had a collection of about 15,000—it’s up to more than 50,000 today, and we’re still growing! The Museum was so young when I started, so of course there’s growth and development, and it’s been pretty cool to witness that. 4) What’s your fondest memory? I remember in 2008, when we developed an exhibit about Bob Jackson called A Photographer’s Story. It was very shortly after I was promoted to Director of Collections, and it was the first exhibit we’d put together with me in that position. We completely developed that exhibit in house, and it was a project I oversaw. When it was finally done, it was a great feeling of accomplishment. I remain very proud of that exhibit and the work our team did to put it together. Similarly, when we did the updates on the Sixth Floor for the 50th anniversary in 2013. Even though it involved a week of overnight work because the Museum would be open during the day, so we could only work on the updates at night. We had some late nights and even two all-nighters. It was difficult and a challenge, but it was great when it was all done. 5) What’s your favorite object in the collection? My favorite object in the collection is this little medal commemorative coin from a company called The Southern Rock Island Plow Company. They were the first business that was in the building at 411 Elm Street. The original building was built in 1898 and it was a five-story building, and it was occupied by the Southern Rock Island Plow Company. The building was struck by lightning and burned to the ground in 1901, and the building that came to be known as the Texas School Book Depository was built on its foundation, as a seven-story building. This little medallion has an engraving of the five-story building on it. It’s the oldest item in our collection, and every time I see it, I think about, if that building hadn’t burned down, there only would have been a five-story building here. 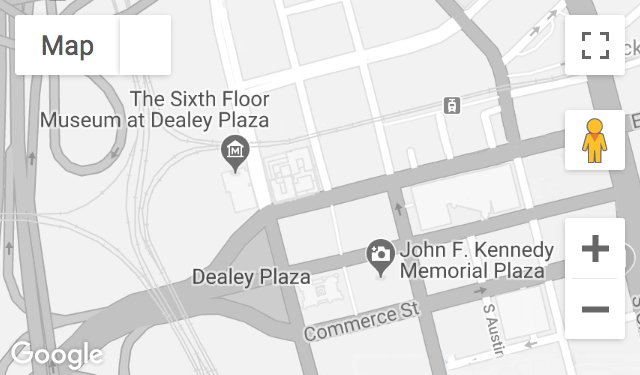 It’s possible a company called the Texas School Book Depository could have still been there in 1963, but what might have been different, if there were no sixth floor? I love that it’s the oldest item in the collection—it’s even older than the building! 6) If you could say something to your younger self of 20 years ago when you first started here, what would you say? You have no idea what you’re in for! And who are you kidding that you’re only going to be there for 5 years? Dallas will become your home. You’ll meet some great people. You’re going to be part of the growth of an incredible museum. Brace yourself, it’s going to be an interesting ride. Congrats to Megan on 20 amazing years at The Sixth Floor Museum! Want to join Megan’s team? We’re hiring! Check out JFK.org/careers for open positions.